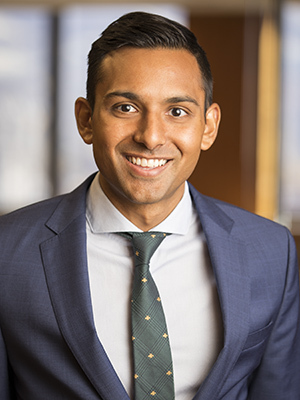 Mr. Dhaliwal is an associate with Ray Quinney & Nebeker, practicing in the firm’s Corporate/Business, Employment, Real Estate, Cybersecurity and Privacy, and Health Care sections. Specifically, Mr. Dhaliwal focuses on business, real estate, and health care transactions, including entity formation and planning, mergers and acquisitions, corporate finance, and corporate compliance. Mr. Dhaliwal also assists clients in navigating employment and cybersecurity issues. Previously, Mr. Dhaliwal worked as a general counsel extern for the Utah Governor’s Office, an enforcement division extern with the Securities and Exchange Commission, and legislative policy and contracts extern with Utah Governor’s Office of Economic Development.